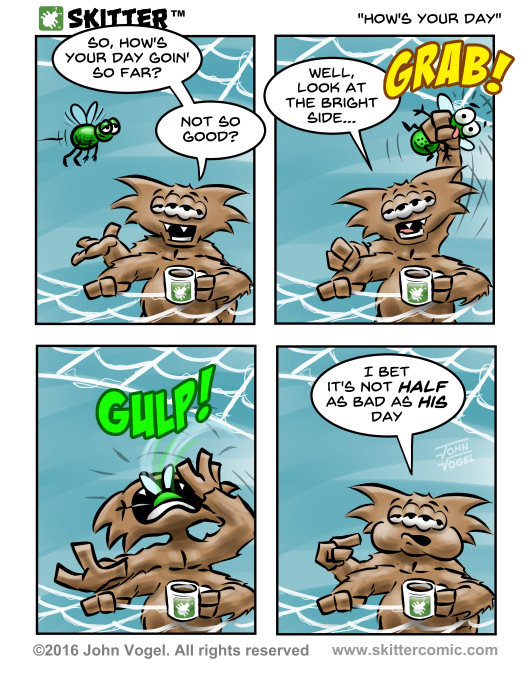 Skitter is a humorous comic strip that lets you see the world from a bugs-eye point of view. Patreon is an amazing opportunity that wasn't available until fairly recently. It brings creators and fans together like never before. So, if you want more Skitter, why not give Patreon a try? Take your love of comics to the next level! When you're done reading this introduction, create your Patreon account, choose the tier that's right for you, and let's have some fun! It's easy and it'll make you feel a whole lot better. A hug from me next time I see you... cuz I really appreciate your pledge! 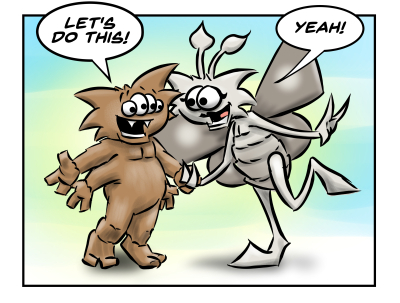 Be the first to see NEW Skitter comic strips before they're published online! 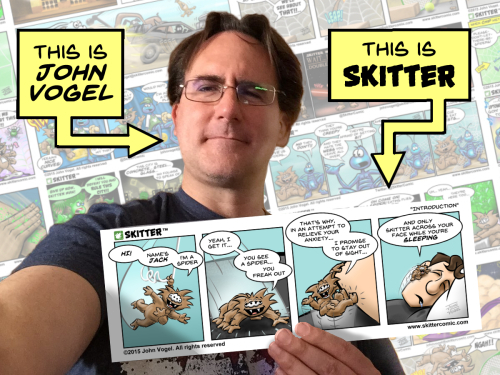 Get Skitter avatars taken directly from the comics to use on your social media accounts! To show my appreciation, each strip will thank one patron. Yes... your name will appear on a comic. 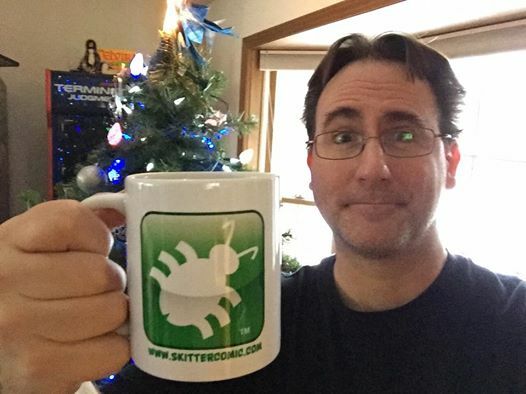 The longer you remain a patron, the more times you can be a part of Skitter! See Pencil art and Works-In-Progress! 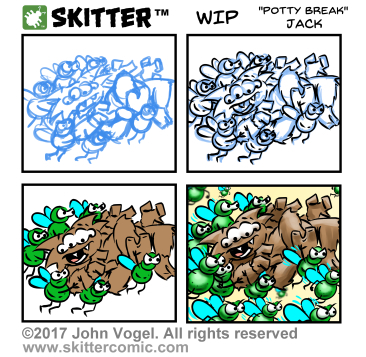 If this goal is reached, I'll create a Skitter wallpaper for your 'puters!